Imagine going to church and trying to worship, pray, and listen to the message while also quieting the roaring grumble of your empty stomach as to not interrupt the service. Imagine growing up in a family of 10 or more children struggling to make ends meet, with no father-figure present to provide for the family. This is the reality for some of the families that attend Chibini Baptist Church, one of CAST’s rural partner churches near Noodsberg. Mr. and Mrs. Khumalo, who pastor the church, use the little they have to address the enormous need of the community through feeding the children in their Sunday School programme every week. Using vegetables from their own garden, they try to provide a simple meal for hungry bellies, so the children can focus on worshipping and learning more about God. With a 48 percent unemployment rate in this area, many working adults leave the farms to live in the city and support their families back home. But oftentimes this money is not enough to feed the many hungry mouths at home, and children are raised by grandparents and/or a single mom without an active father-figure present. One way CAST is addressing this issue is by providing food parcels to families in Chibini. Another way Mr. and Mrs. Khumalo seek to care for the children in their community is by providing a simple meal once a week and introducing the children to a heavenly Father who loves and cares for them, no matter their circumstances. Earlier in the year, CAST and a partner team from the US were able to organise a holiday club for the children in Chibini. 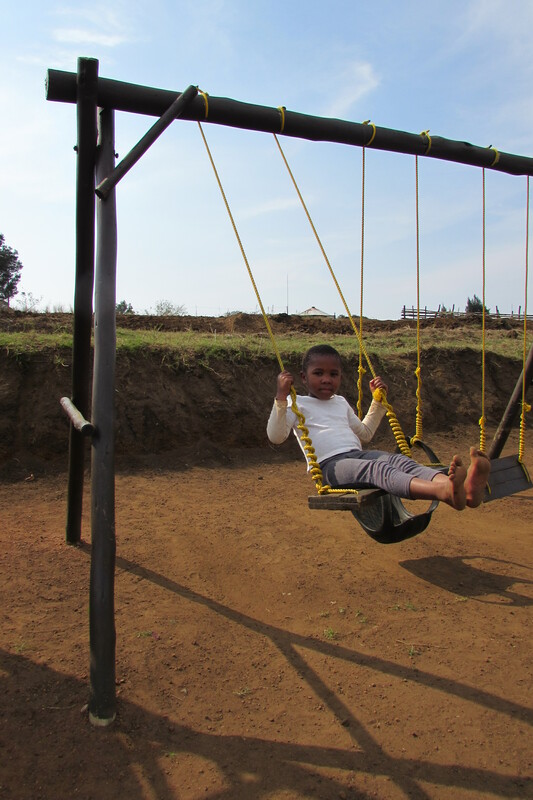 The American team also helped in building a playground for the children to enjoy. Now a few months later, the Sunday School has grown in numbers, averaging around 70 children, an increase of 25 kids. 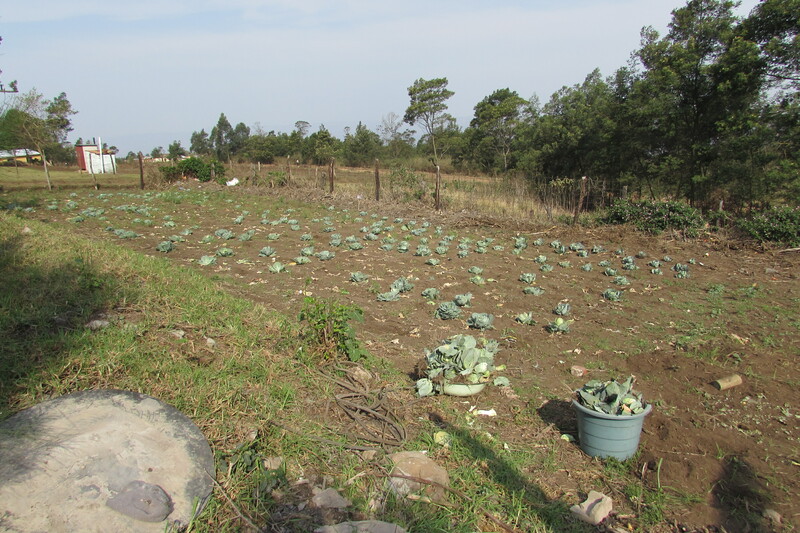 Normally the Khumalos are able to use produce from their garden to feed the children once a week, but during this time of year their garden produces less. As a grandfather and long-time member of Westville Baptist Church, Sandy Forsyth has a heart for children and serving God. Every Tuesday and Thursday morning, you can count on seeing Sandy at Addington Primary School. Sandy consistently gives of his time to tutor students at Addington. Rain or shine, and even when few volunteers are to be found, Sandy arrives at Addington, ready to pour into the lives of the children. Five years ago, Sandy listened to a video in which Professor Jonathan Jansen spoke about the problem of education in South Africa. Jansen discussed the incongruence between private schools, where a small amount of middle to upper class students attend, and the poorer and under-resourced public schools, where the majority of the population is educated. 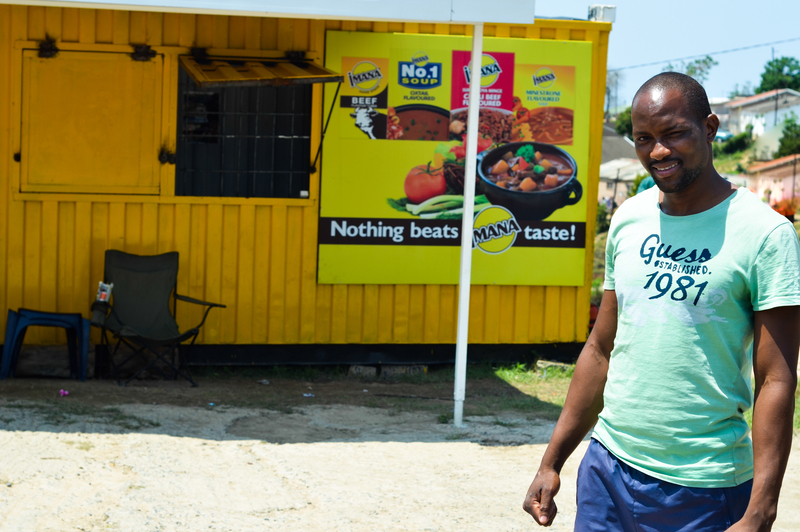 Instead of blaming the government, Jansen challenged ordinary people to get involved in education through volunteering their time to tutor students – even just a couple hours a week. Jansen called for an “army of volunteers” to tackle these issues. Sandy took this message to heart, and began to look for opportunities to volunteer at a school. In 2006 his daughter, Lucy Johnson, and Lauren Bras started a ministry in Addington, and they were looking for volunteers who could help Addington students with their homework after school. After Lauren approached Sandy about volunteering with CAST at Addington, he began to come faithfully every week. Addington Primary is a unique school in that many of the students are refugees from other countries in Africa. They speak Swahili, French, and other local languages from their home countries. Students often fall behind because they do not have basic English language skills, and their parents are unable to assist in their education because of the language barrier as well. In addition, children are instructed in classes of 40 or more students, allowing little time for individual attention from teachers. The result is that many students do not know their alphabet or basic phonics. The problem is further exacerbated by the fact that the school only began to offer Grade R two years ago, so many of the students lack any pre-primary education which normally provides the necessary foundation for basic language and literacy skills. Instead of being intimidated by these many challenges, Sandy dived in with his students, helping groups of 8 to 10 students to complete their homework after school on Tuesdays and Thursdays. During the past few months, CAST has changed Homework Help into a programme that addresses the unique needs of Addington students. The new Literacy Programme uses material from Wordworks, an organisation that supports the early language and literacy learning of children from historically disadvantaged communities in South Africa. Sandy enjoys the new Literacy Programme because it allows more one-on-one attention for students. Each volunteer in the programme is paired with two students, allowing more focus on foundational language and literacy skills. By working with only two children, Sandy believes you can more clearly see the progress and growth of students. Sandy encourages retirees to get involved with the Literacy Programme because there is a need for volunteers every Tuesday and Thursday morning. 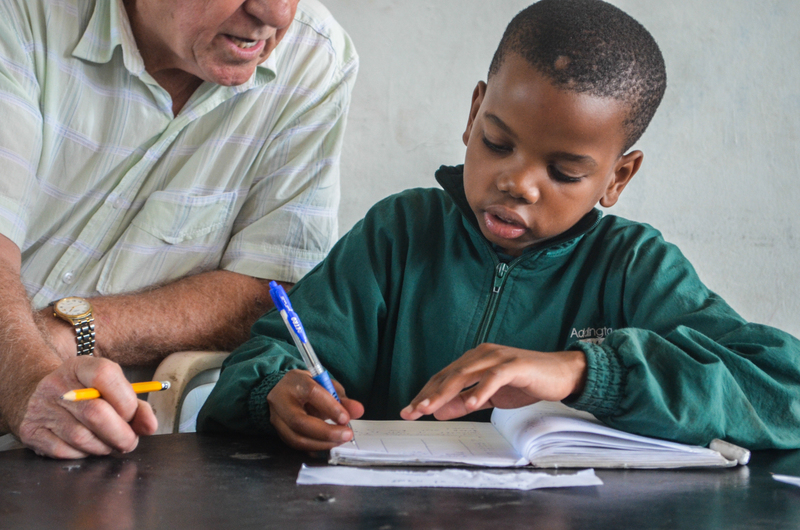 By giving a few hours a week to tutor two students, you can help tackle the problem of education in South Africa. CAST provides training for Literacy Programme volunteers, and the Wordworks materials makes it easy to jump in and get started with the programme right away. CAST also provides a library of books for volunteers to use with the students. CAST’s Educational Assistance Programme aims to rescue the academic potential of learners through the Literacy Programme which will help them grasp key concepts, and reduce obstacles to future success. However the Literacy Programme needs ordinary people that can become “an army of volunteers” to tackle the issues that hinder the potential of students. 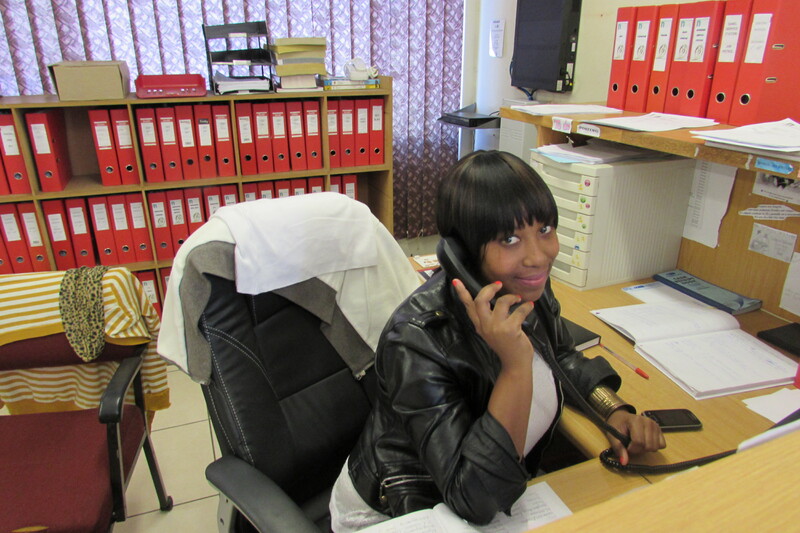 If you are passionate about children and issues of education, please contact Murry, CAST’s Volunteer Coordinator at murry@cast.org.za. Carmen is bubbly, feisty, and makes friends with everyone she meets. Over the past few months Carmen has volunteered with Careerlinx, a partner non-profit organisation of CAST that is focused on empowering the unemployed and under-employed. For the past two years Carmen has been unemployed and looking for a permanent position, while still trying to support her mother and five year old daughter. That all changed on her birthday last month, when Carmen was hired to work at Nylon and Conveyor Components (NCC) in Pinetown. She works in the front office doing admin, communicating with customers over the phone, completing invoices, and assisting with transport and those who work in the shop. While Carmen loves her new job, the best part of her journey with Careerlinx and NCC has been growing in her walk with God. Before volunteering with Careerlinx, Carmen did not have a very strong relationship with God, but now that she is surrounded by a Christian environment, things are different. Every morning at NCC, the staff prays together as a team. Because Carmen works with other many other Christians, she finds it easier to focus on God. Carmen is thankful for her new job at NCC. 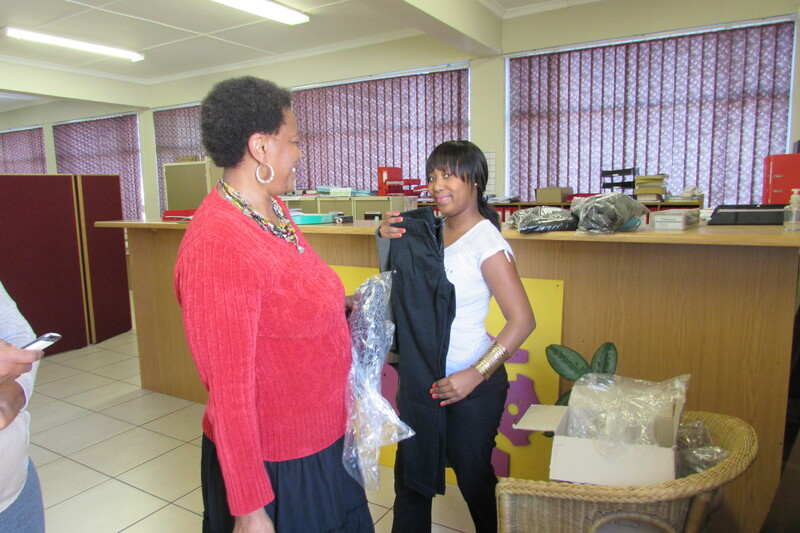 Careerlinx was also able to provide Carmen with new clothes for work through a generous donation. 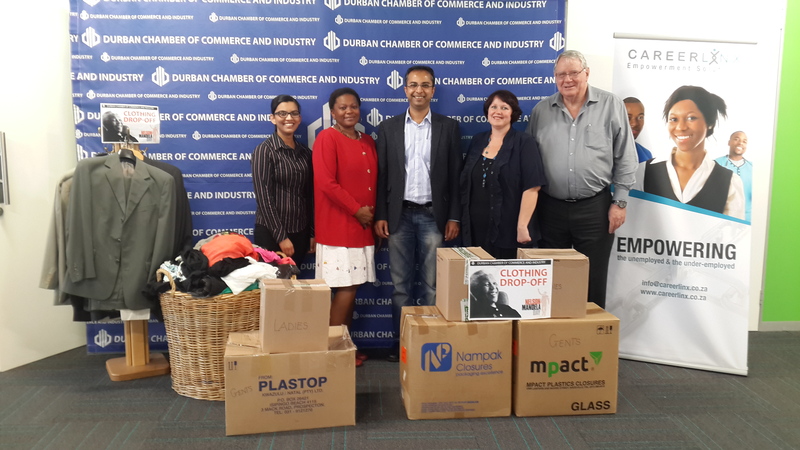 As a Mandela Day project, Durban Chamber of Commerce and Industry decided to donate clothing to unemployed individuals who are either looking for work or just starting a new job through Careerlinx. This wonderful donation will allow other individuals like Carmen to have new, professional clothes for interviews and work. Careerlinx and CAST would like to give a special thank you to Andrew Layman, Akash Singh, Shivani Singh, and all the staff at Durban Chamber of Commerce and Industry for this helpful donation. While Careerlinx is in its beginning stages, we pray that Carmen is the first of many individuals who will find permanent employment through the empowerment of this non-profit. Beyond just finding people employment, Careerlinx is committed to community upliftment as a partner of CAST. If you are interested in getting involved with this new CAST partner that links the unemployed with future employers, please contact the non-profit’s Executive Director, Rachel Engelbrecht at rachel@careerlinx.co.za or 0845561329. For many of CAST’s older participants in the Youth Development Programme, finding part-time work while also pursuing further education can be a challenge. Often times the participants come from single-parent homes where they care for their younger siblings. Over the past few months, CAST has begun looking at ways to create solutions for this problem. An exciting possibility to address this problem is The Clan Barbershop Project. This project started through a conversation between George, CAST’s Youth Development Programme Manager and David, his friend from Burundi. David first came to Westville Baptist Church when someone invited him at the Westville BP Garage where he works. He liked WBC and started coming to church on a regular basis with his cousin. Recently David’s work schedule at the garage has kept him from attending church on Sunday. David was sharing his work frustrations with George, when they devised The Clan Barbershop Project at CAST’s Ministry Fair. It all started with David’s experience of cutting hair in Burundi. 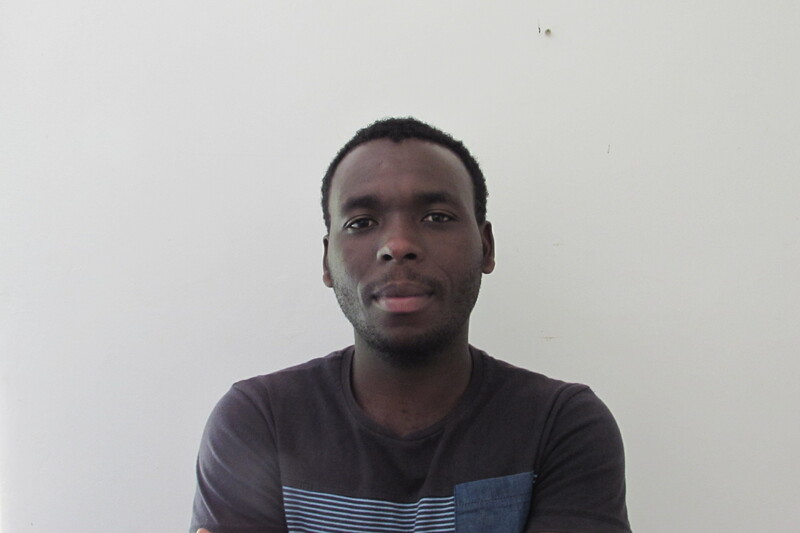 David has spent most of his life fleeing his own country because of war. At first, David fled to Tanzania and Rwanda, waiting for the conflict to end. When he was 19, he returned to Burundi and found most of his friends cutting hair to make ends meet. When a friend offered to teach him how to cut hair, David jumped on the opportunity and learned most of the basics in just three weeks. Over time he was able to open his own barbershop and run his own business. However, once again David was forced to leave because of conflict in his home country. 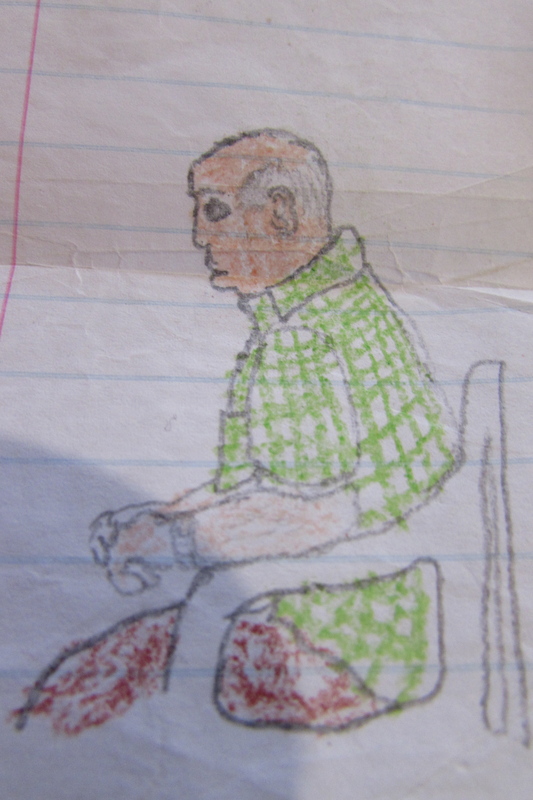 This time, David fled to Mozambique, and eventually South Africa. 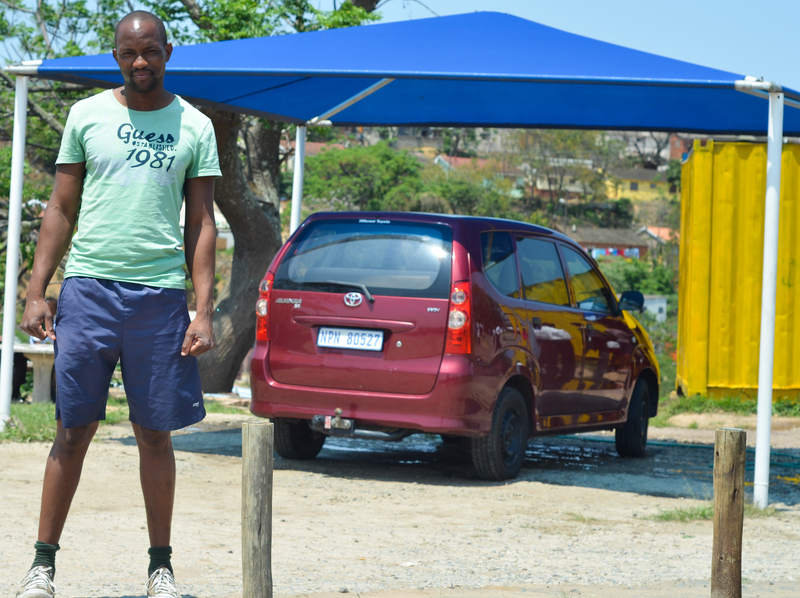 As a refugee, David was able to make a living by cutting hair, but life was not easy so he decided to work for the BP Garage in Westville. Now David would like to cut hair again, but this time he wants to give back to the local community through The Clan Barbershop Project. By sharing some of his experience with CAST’s older Youth Development Programme participants, David hopes to help young people who are still in school or have just graduated. CAST’s Youth Development Programme would like to open a barbershop in KwaDabeka, near Themba’s Carwash (another successful CAST business forum participant) and KwaDabeka Baptist Church. Just as David’s friend took the time to teach him, David would like to teach other younger guys how to cut hair so that they can work part-time while still attending school. The Clan Barbershop Project will not only create employment for CAST’s Youth Development participants, but will also offer a valuable service to the young people in KwaDabeka who normally have to travel to Pinetown, KK, or Durban central to have their hair cut. By bringing this service closer to the youth and at a more affordable cost, CAST hopes that this project will also give back to the greater community. Currently, The Clan Barbershop Project would like to employ at least five older guys in the Youth Development Programme who want to work part-time while going to school. During the school holidays, David will be able to train more participants. Please pray that as we launch The Clan Barbershop Project, it will be a successful integration of CAST’s Business Development and Youth Development Programmes. Pray that the programme graduates and senior basketball team (also known as “The Clan”, which the project was named after) will benefit from this new project as they begin a new chapter in life.